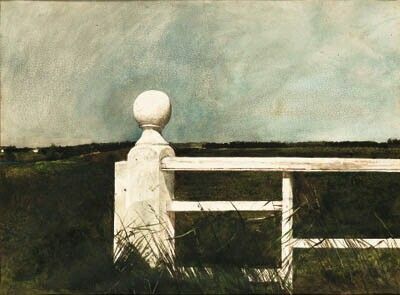 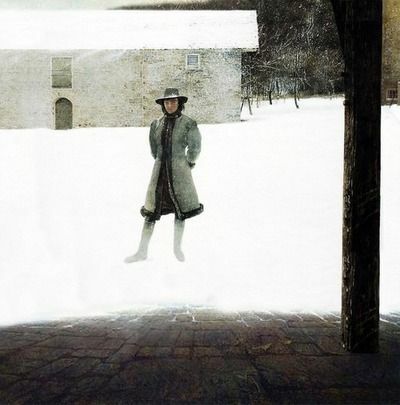 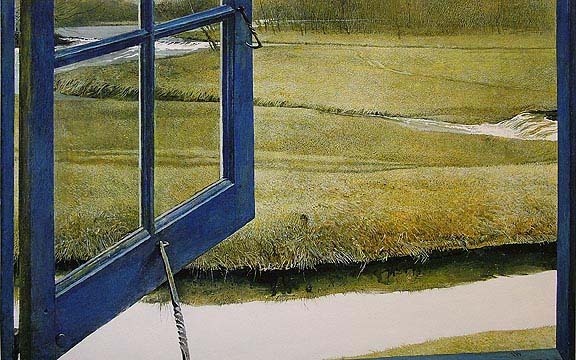 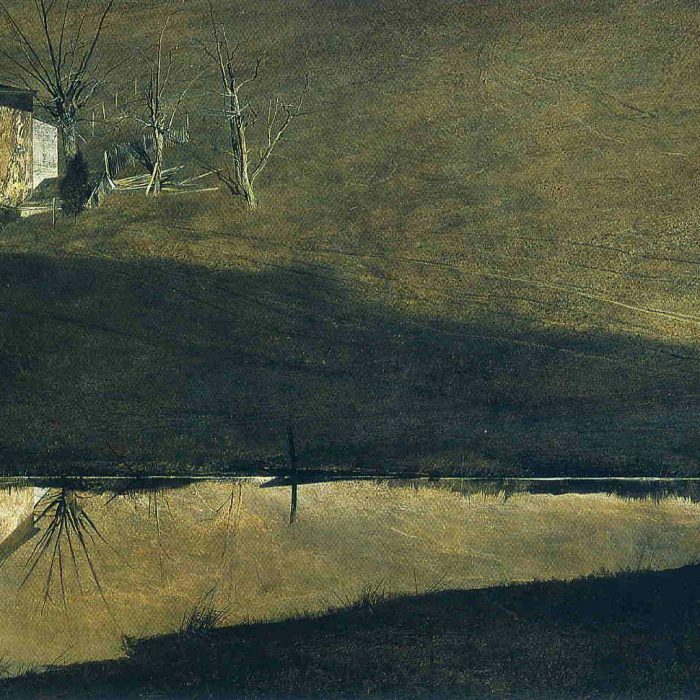 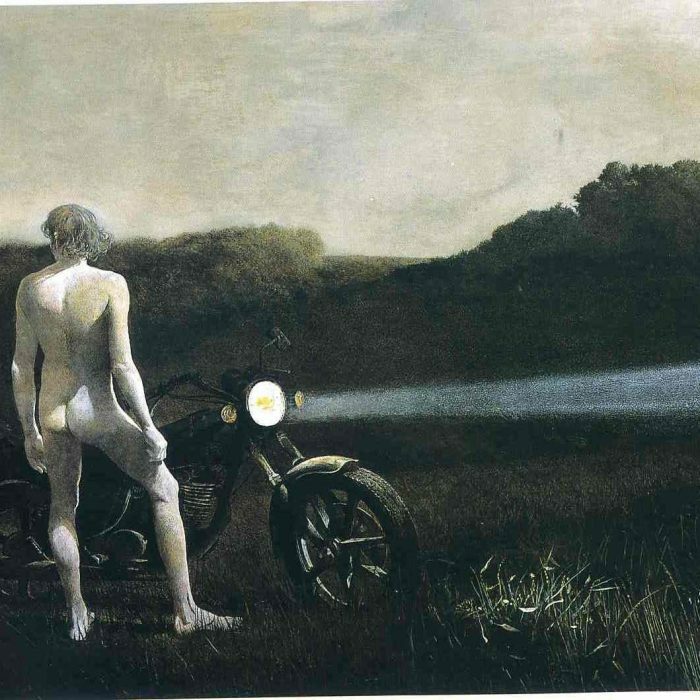 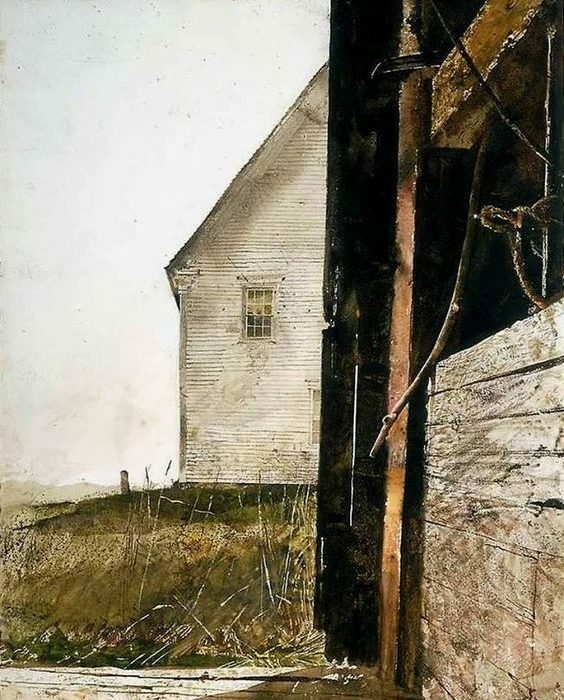 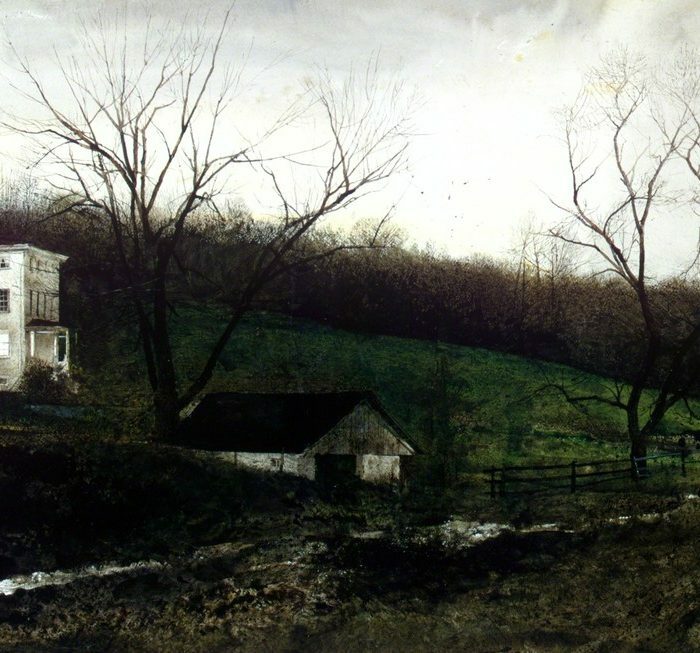 Andrew Newell Wyeth (b. 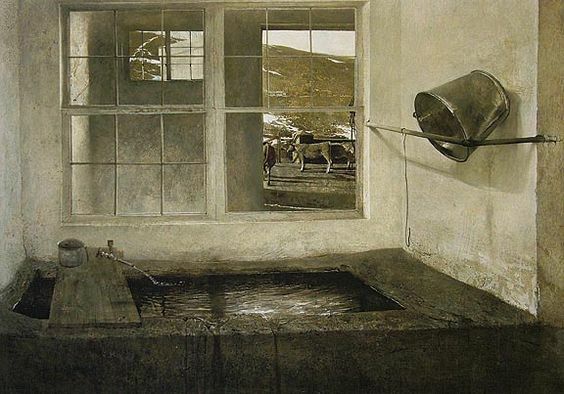 1917), the youngest child of painter N. C. Wyeth and Carolyn Brenneman (Bockius) Wyeth, exhibited precocious artistic talent. 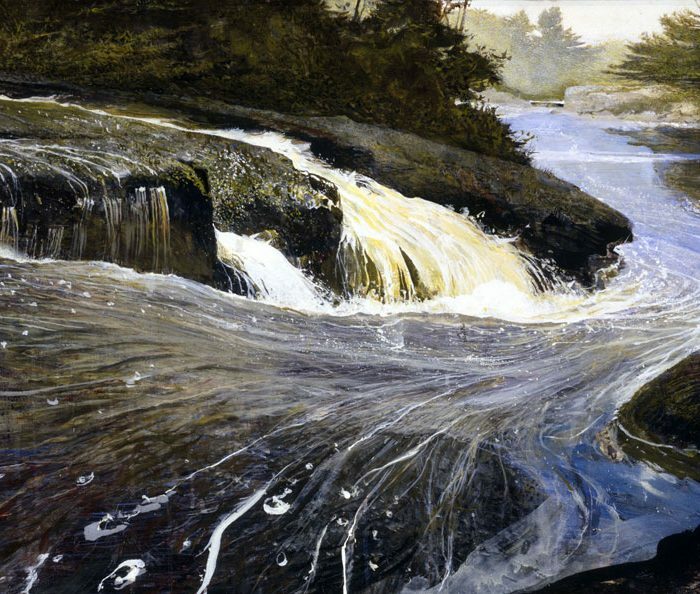 He studied art formally with his father as a teen, drawing in charcoal and painting in oils, the media of choice for N. C. Wyeth. 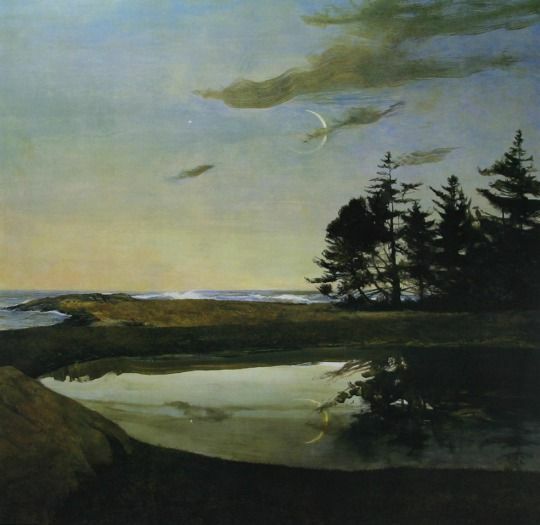 It was during the family’s annual summer vacations in Port Clyde, Maine, that Andrew was able to experiment with other media to find his own artistic voice. 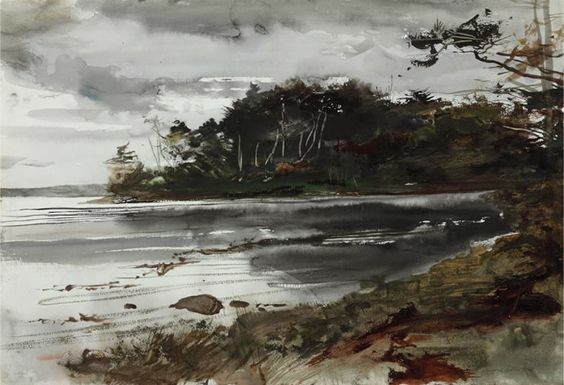 He began with watercolors, creating colorful, exuberant landscapes of the Maine coast. 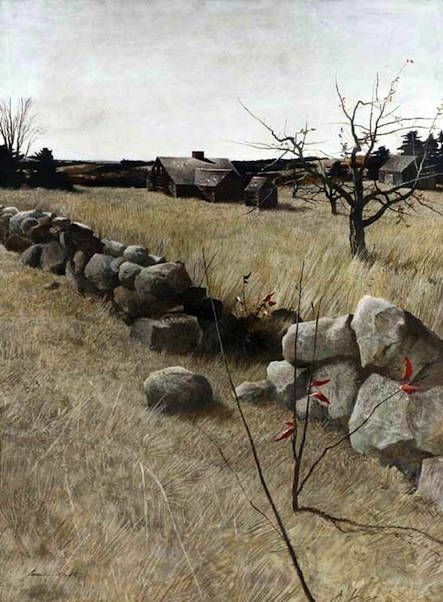 His father selected the paintings from this series for Andrew’s first one-man show at the William Macbeth Gallery in New York City when the artist was just 20 years old. 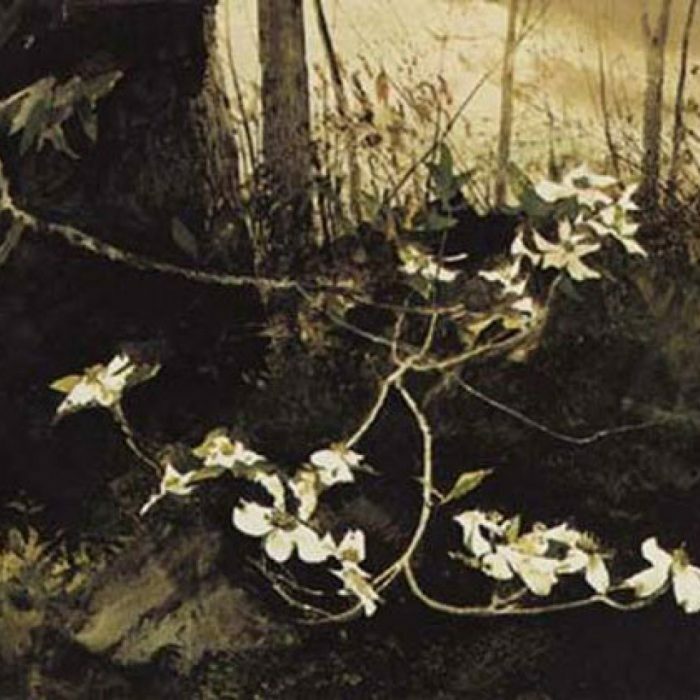 His father wrote of these works, “They look magnificent, and with no reservations whatsoever, they represent the very best watercolors I ever saw!” The show sold out entirely. 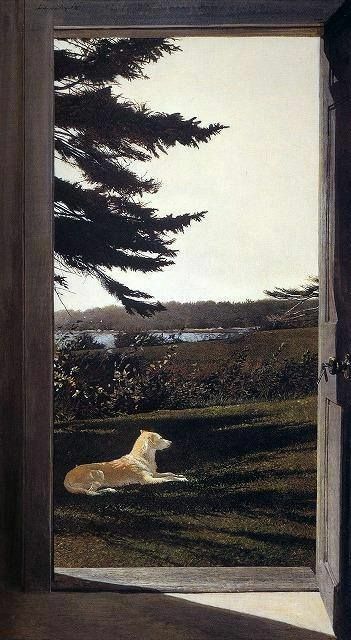 He followed this success with several other acclaimed exhibits of his Maine watercolors, including the 1940 exhibit at Doll & Richards in Boston, Massachusetts, which included Clouds and Shadows (1940), a painting of the scene below his studio in Port Clyde that featured his friend and model, Walter Anderson. 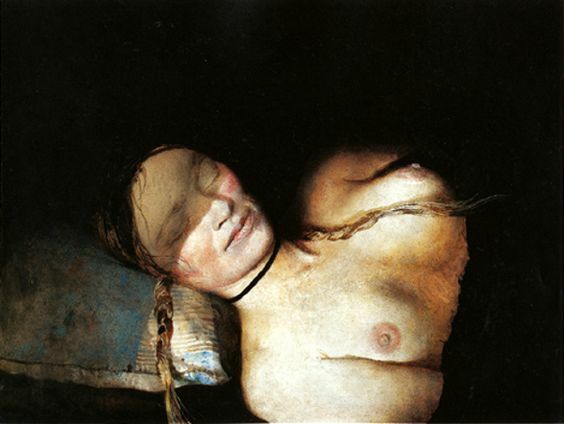 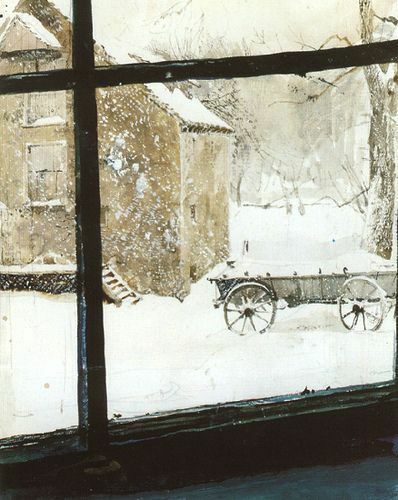 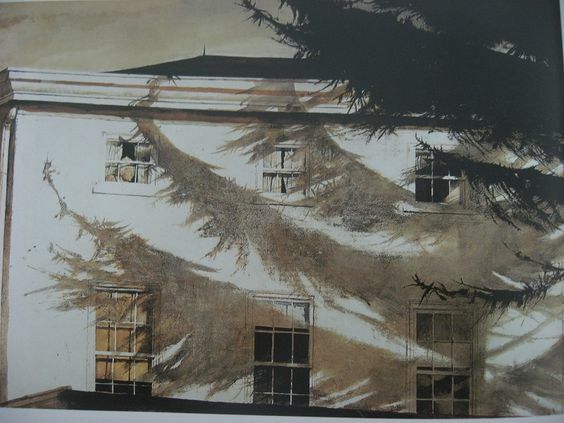 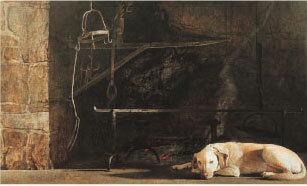 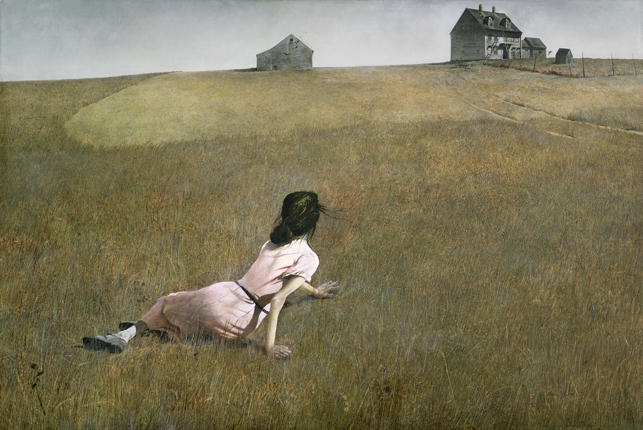 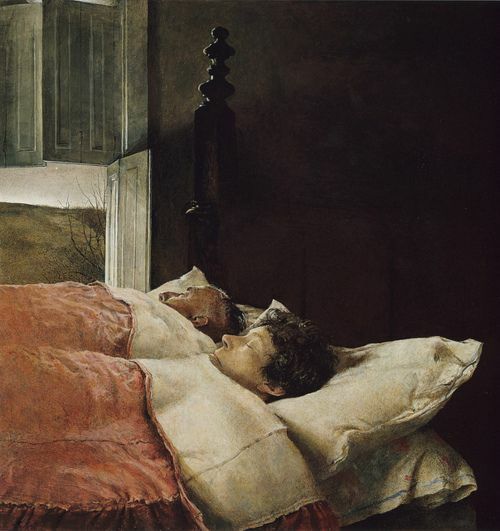 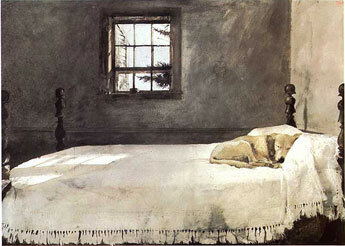 Wyeth used this “austere” medium to create Her Room (1963), the haunting image of a room in his home in Cushing, Maine. 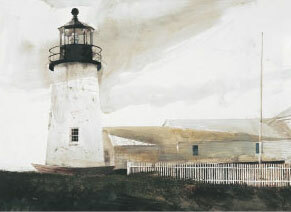 The title refers to his wife, Betsy James Wyeth, whom he met in Maine on his twenty-second birthday. 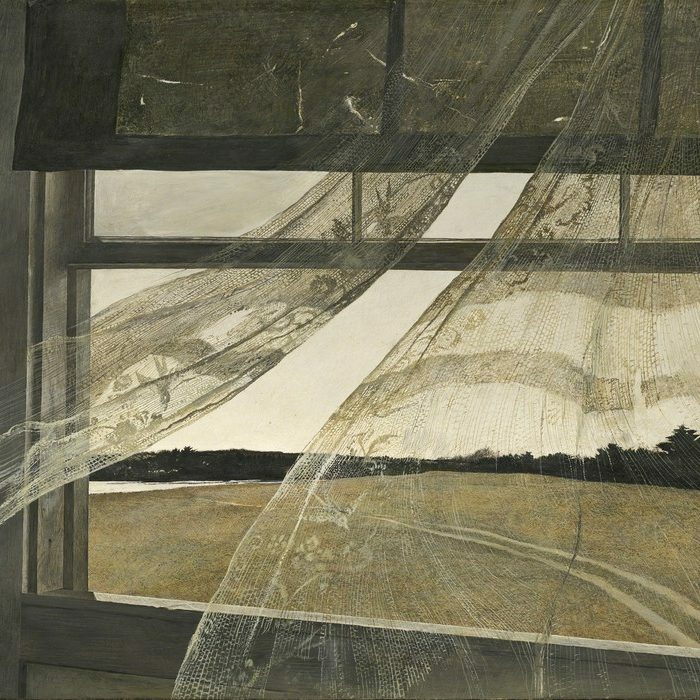 She has taken an active role in her husband’s career from the very first day they met, introducing him to her long-time friend Christina Olson, who would become the subject of his iconic painting, Christina’s World (1948, Museum of Modern Art, New York). 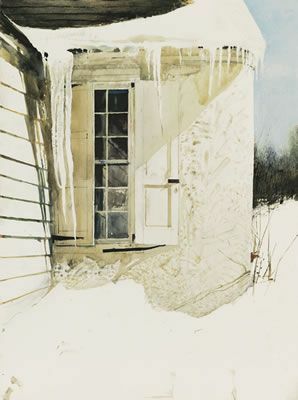 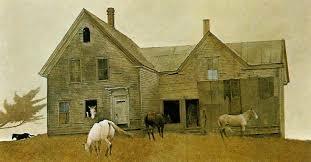 Christina, her brother Alvaro, and the Olson House on the Cushing peninsula all seemed to Wyeth to have qualities representative of Maine and would continue to inspire the artist until Christina’s death in 1968. 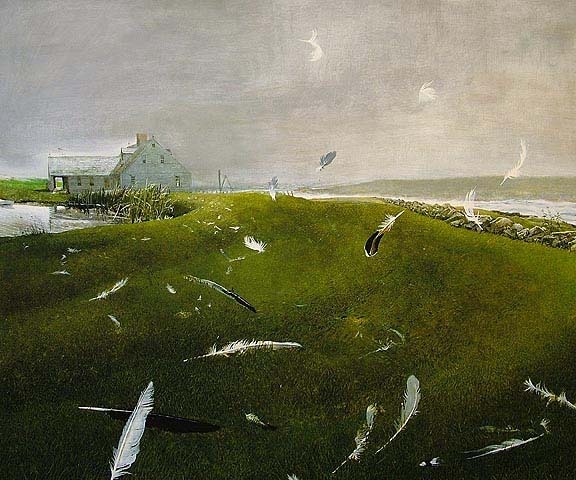 The Wyeth Study Center collection focuses on Wyeth’s works inspired by the Maine coast. 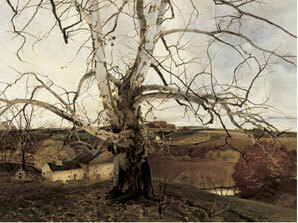 They span the artist’s career, from early childhood drawings to more contemporary paintings. 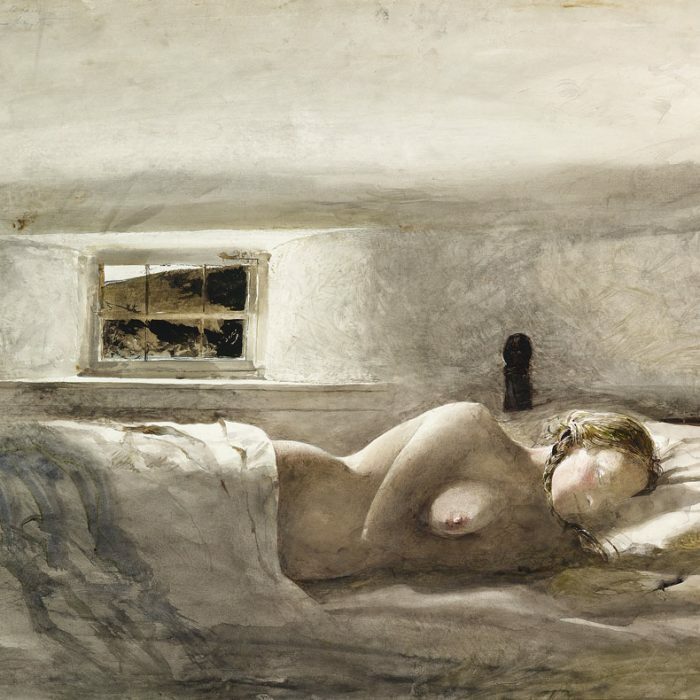 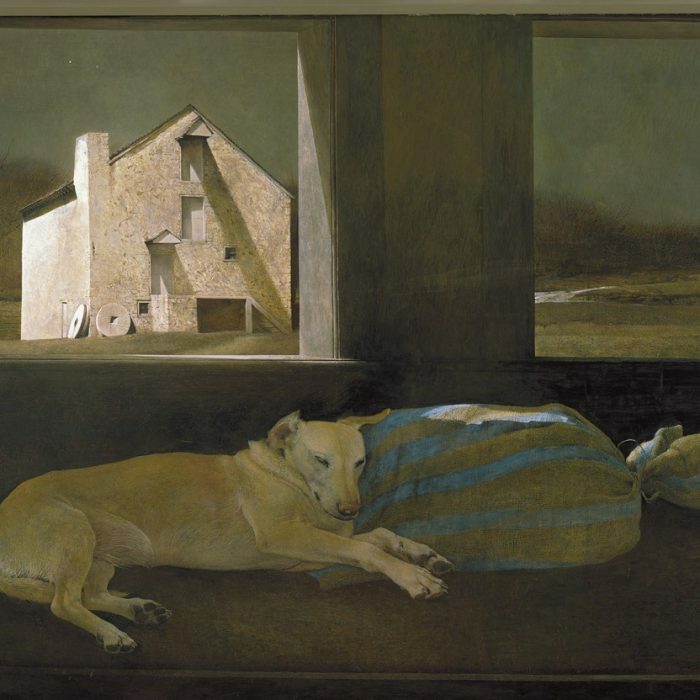 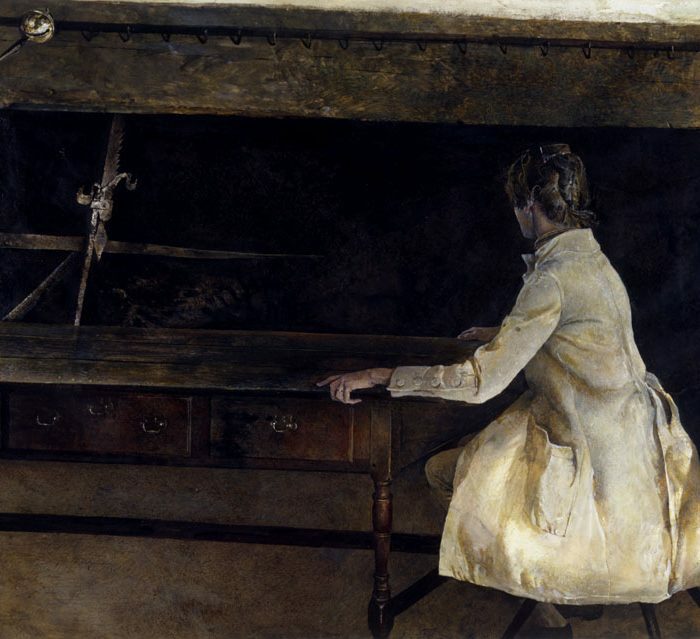 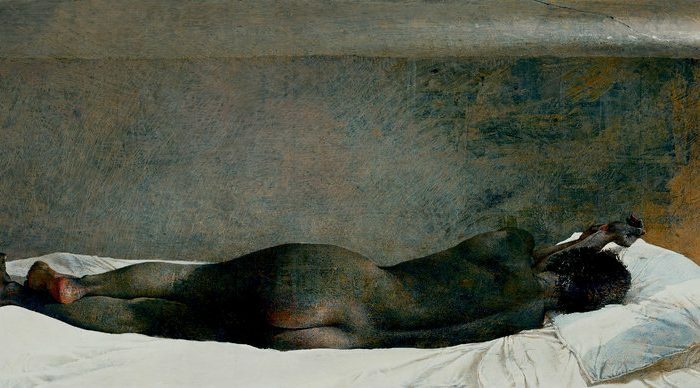 Exhibitions of Andrew Wyeth’s work, largely drawn from the collection, are presented in the Hadlock and Wyeth Study Center Galleries and are changed each spring and fall. 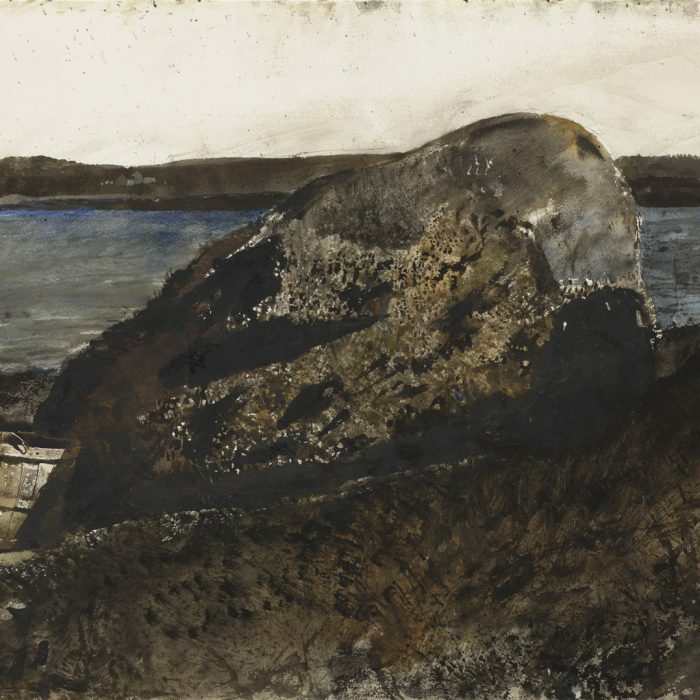 In addition to paintings and drawings, many exhibits include supporting materials, such as childhood drawings, props, and letters to and from models. 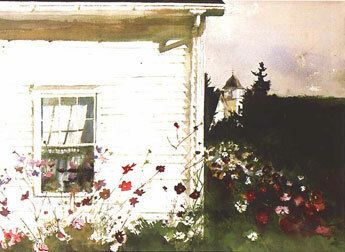 Past exhibitions have included Early Watercolors, Teel’s Island, Christina Olson: Her World and Andrew Wyeth: World War I.